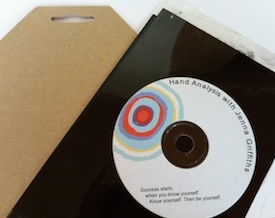 How can I have my hands analysed by Jena? Or you can have your hands analyzed online. How can I have my hands analyzed online? Order your session by clicking on the link below. A hand printing kit is sent to you by post. Within minutes your hand and fingerprints are made following easy instructions. Post (or email ) your prints back to Jena. A date for the private consultation will be set. Jena prepares work sheets and emails these to you. Jena records the entire consultation. You receive a recording of the session. Please send me the inked sheets right away. Find out why people all around the world choose Jena. Success starts when you know yourself. Know yourself, then be yourself.